NEW YORK, N.Y. (Jan. 14, 2019) – Teach NYS, a project of the Orthodox Union and New York’s leading nonprofit focused on equitable funding for the state’s nonpublic schools, announces and welcomes political strategist Nika Milbrun as its Legislative Director effective today. Nika brings a decade of campaign and state government experience to Teach NYS, where she will oversee the organization’s grassroots advocacy initiatives, manage the state and city lobbying teams and engage with legislators to help secure government support for nonpublic schools across New York. In 2015, Gov. 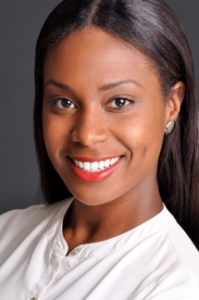 Andrew Cuomo appointed Nika as Assistant Director of Constituencies for Women’s and African American Affairs. In that role, Nika advanced the governor’s public policy priorities and developed and implemented engagement strategies on a range of issues, including the launch of the first-ever New York State Council on Women and Girls. Prior to that appointment, Nika served as Regional Field Director for Terra Strategies on behalf of the Democratic Congressional Campaign Committee; Regional Coordinator for the New York State Senate Democratic Conference; and worked on a variety of political campaigns throughout New York State. Nika’s honors include being named a Next Generation of Women Builders by the Women Builders Council and One to Watch for Outstanding Achievement in Politics by the Haitian Roundtable. She has a bachelor’s degree in political science from St. John’s University.